Saying “we want a better website” is like saying, “we want a better business”. But what exactly does “a better business” mean? Do you want to increase revenue? Maximize profitability? Or maybe improve customer satisfaction? This could mean a number of different things for different people in different situations. Unfortunately, simply wanting a better website is not a clear objective and many professionals end up learning the hard way that solely stating so won’t correlate to business results. 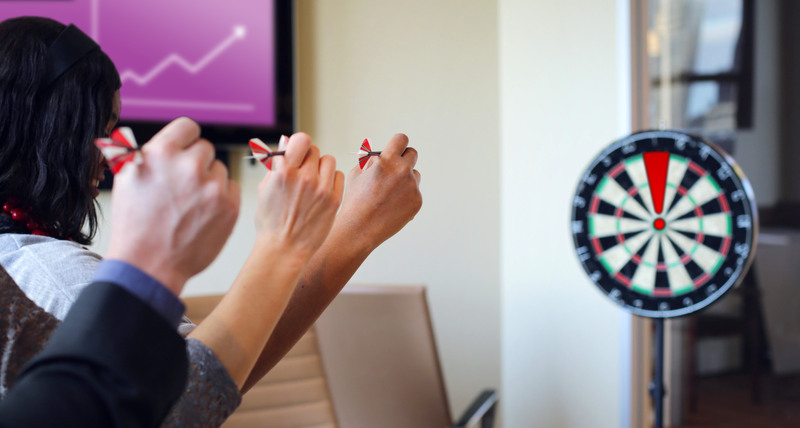 In my article, How to set SMART Website Goals to Reach Business Objectives, I advocate the use of the SMART model for setting Specific, Measurable, Attainable, Relevant, and Timely goals. Good executives manage by numbers. Websites should be no exception. There must be clarity in your website goals and concrete desired business results, or it will fail. This is arguably the most popular goal for business websites that have lead generation as their main purpose. 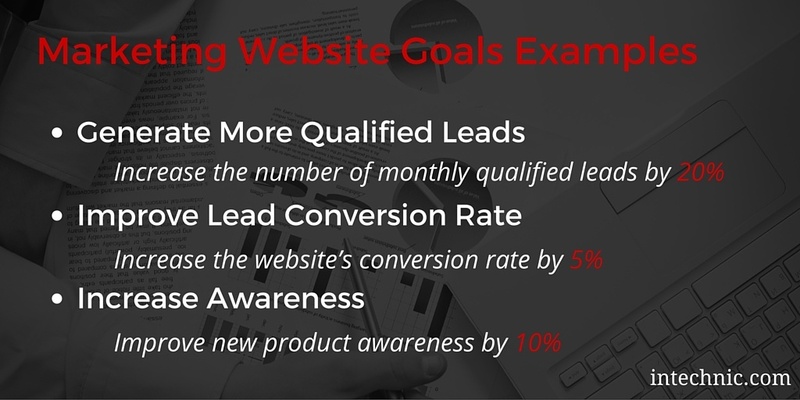 This goal is best for companies that want to get more sales leads through improving their website’s marketing performance. To measure lead increase, I recommend setting a percentage rate increase as opposed to an absolute lead count. This accounts for monthly traffic fluctuations and allows for meaningful historical comparisons. Also, make sure to track qualified leads versus total general leads and set specifications as to what is considered a qualified lead. Doing so will also measure the quality of leads you are getting. Example: Increase the number of monthly qualified leads by 20% (qualified lead: decision maker; headquartered in the U.S., revenue of $10M+). This measures the ability of a website to capture information of a visitor and convert them into a prospect (measured as a percentage of website visitors who become prospects). 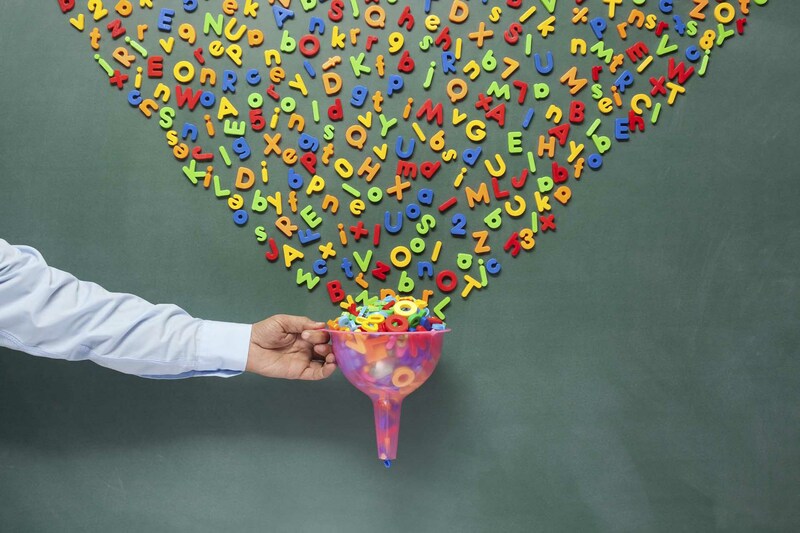 This goal is good for companies that want to focus on the website’s ability to convert and is a great goal to set for inbound (content) marketing campaigns. This goal can also help measure changes in the quality of traffic. 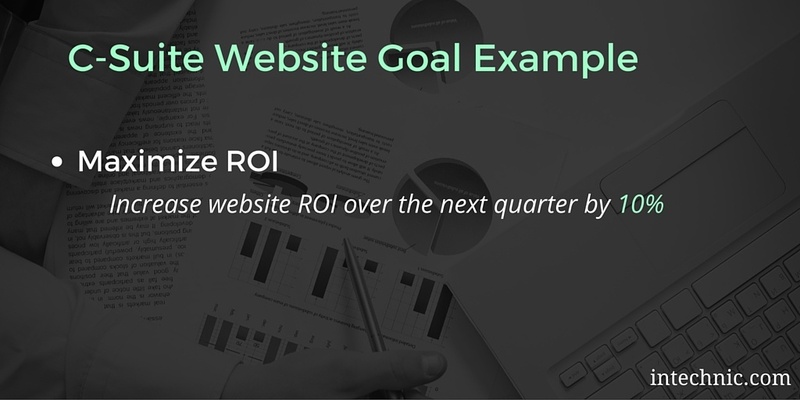 For this type of goal, it is crucial to know your website’s current conversion rate. This way, you can determine a realistic percentage increase. Example: Increase the website’s conversion rate by 5% (with the same amount of traffic). This is the most popular goal for e-commerce websites that sell products or services online (SaaS also falls into this category) and is best for companies that want to maximize their online sales. Similar to lead increase goals, I recommend setting a percentage rate increase (in %) as opposed to an absolute sales amount. This will account for seasonal sales fluctuations and will allow for more meaningful historical comparisons. Example: Increase monthly sales by 20%. 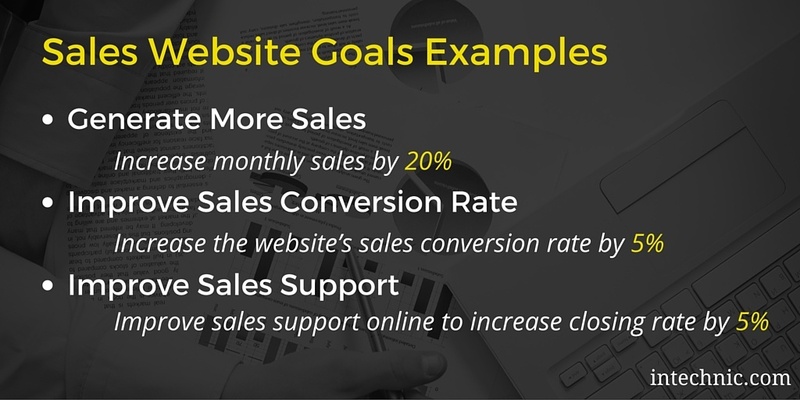 Similar to marketing, this goal measures the ability of a website to sell (convert a website visitor into a customer). It is typically measured as a percentage of website visitors who become paying customers. This goal is suited best for e-commerce/SaaS websites that want to focus specifically on maximizing a website’s ability to sell. This goal can also help measure changes in the quality of traffic. Just as with marketing KPIs, it is absolutely crucial to know your website’s current conversion rates before setting this goal. Example: Increase the website’s conversion rate by 5% (with the same amount of traffic). 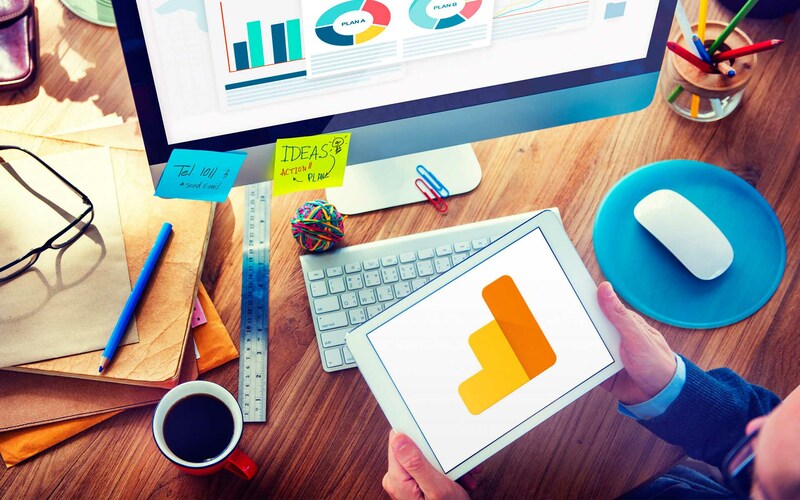 Measuring online customer satisfaction is tricky business but if your website’s objective is to improve customer satisfaction through user experience, then you should consider qualitative research in the form of surveying your customers before and after a redesign. 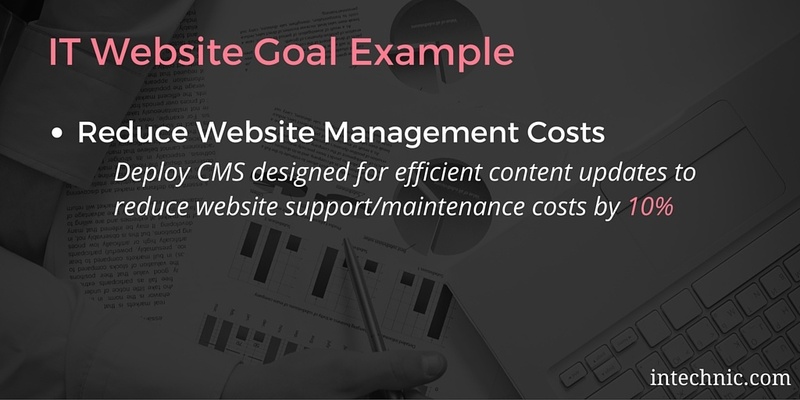 This type of goal is ideal for websites that serve a support function for existing customers (SaaS and online customer accounts), members (member portals), patients (healthcare), etc. For example: medical patients don’t enjoy spending time on hospital websites. They want to be in and out when making appointments, accessing test results or paying a bill before going on their way. Ease of use is vital and so interviewing/surveying patients (in this case) before and after the website’s redesign is important to determine what their needs are and if the new website provides for a better experience. 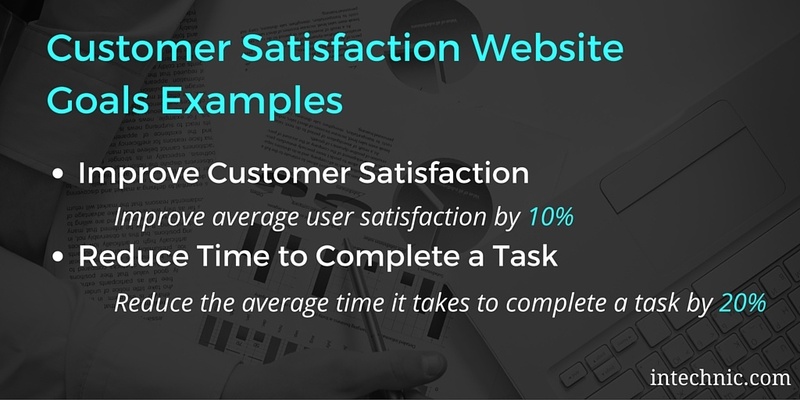 Example: Improve average user (customer/member/patient) satisfaction by 10% (measured using surveys before and after redesign). Similar to improving the satisfaction of customers, your webmasters and content contributors must also be happy. They should have all the tools they need to do their job effectively and efficiently. If they are doing redundant or duplicate work, rely on workarounds or they are unable to perform websites updates, improving their satisfaction should be a goal. They should be interviewed/surveyed before and after the website’s redesign to determine what their needs are and if the new website provides for a better experience. Example: Improve average webmaster/content contributor satisfaction by 10% (measured using surveys before and after redesign). 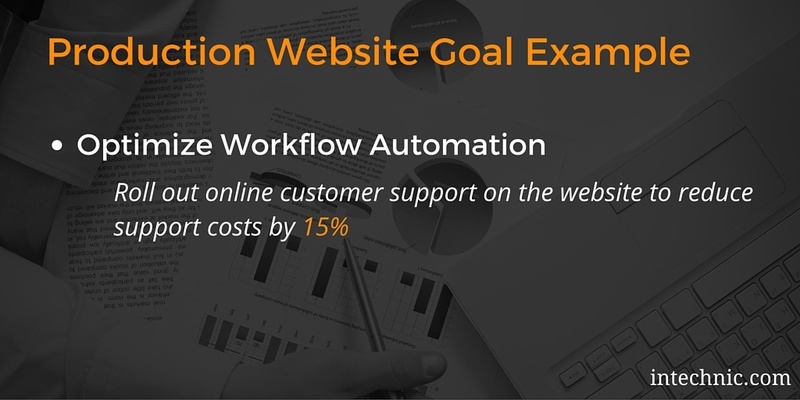 Common website goals for Operations and Production departments are to use their company website to optimize and streamline workflows and to automate tasks. This could result in improved customer/employee satisfaction as well as reduced costs (both methods can be used, depending on the goal). 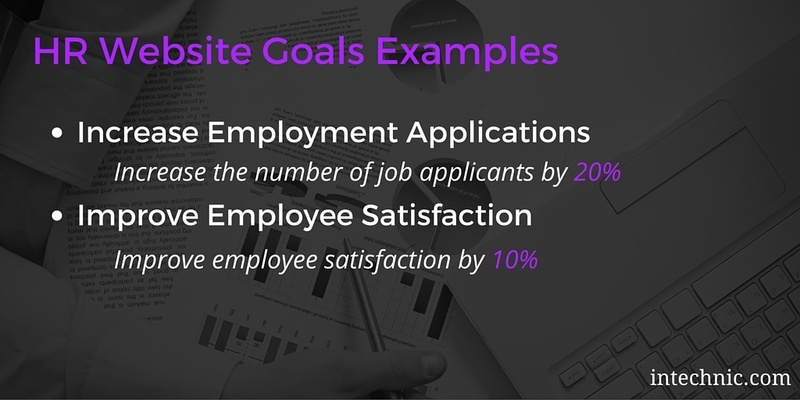 This goal looks at the number of job applications submitted through the website. 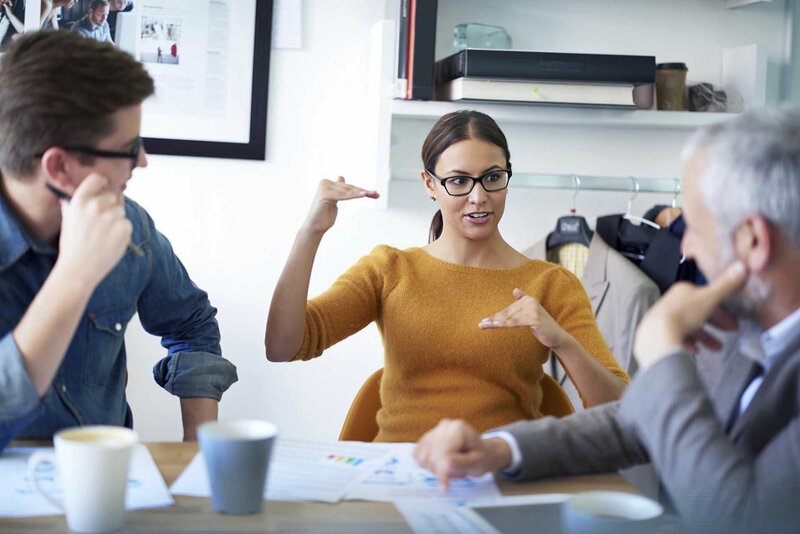 This is a good goal for companies that prioritize attracting new talent and want to advertise job openings as well as encourage online applications. This can be measured with the help of an ATS (applicant tracking system). Similar to leads, I recommend setting the goal as a percentage rate increase. Example: Increase the number of job applicants by 20%. So far we’ve been focusing on common departmental website goals and what’s important to marketing, sales, customer support, IT and HR. But what about looking at the company as a whole? What does executive management want to see from the new website? Website can be a significant investment that often requires the approval of a CEO and/or a CFO. How do you justify a redesign to your CEO/CFO? Or, if you are a CEO, how do you make a decision whether or not the website is a good investment? The answer is simple: ROI. You need to be able to demonstrate the Return on Investment. That’s the #1 consideration for any CEO or CFO. How will the new website contribute to the bottom line? 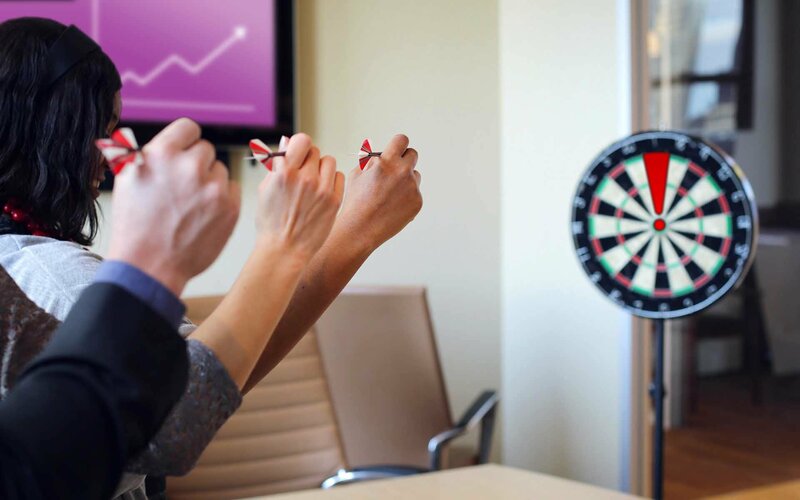 Note that every goal example in this article directly impacts the company’s bottom line. 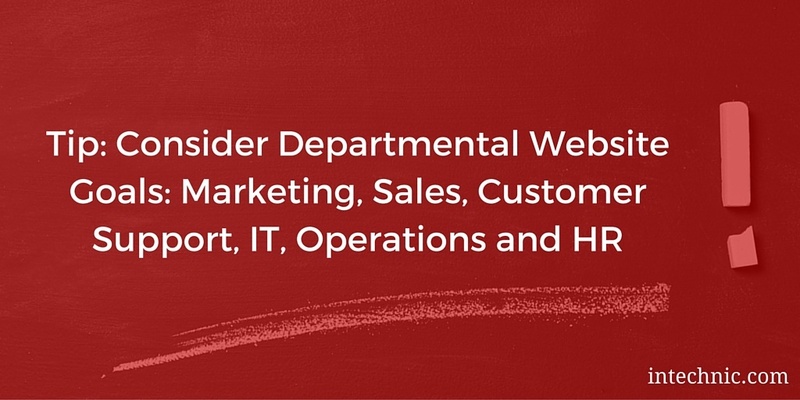 The first step in determining ROI is by establishing departmental website goals. You can then evaluate how these changes will positively impact the company as a whole and present this information to your CEO/CFO. 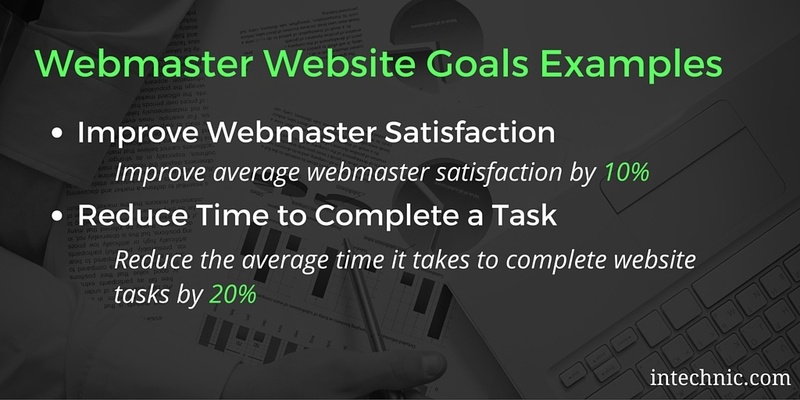 Setting SMART website goals is an important step in any website redesign. Make sure you know exactly what you want to achieve with your website before diving into a project that could take months to complete.